Sanita sal, leading Lebanese consumer disposables company, has launched an information-filled web site to communicate its top selling retail brands, institutional disposables products, and corporate news and campaigns. Visitors can read the latest news, use friendly drop-down menus to find products, download the product catalog, and find distributors. University students can request information about the company to complete research projects. Imad Chedid has been named Financial Controller of INDEVCO Paper Containers division as of 23 February 2009. Imad worked 27 years in Saudi Arabia, including 12 years with INDEVCO Group in Saudi Arabia as Senior Accountant and Accounts & Administration Manager. In 2002, he joined Unipak in Lebanon as Finance Manager and transferred to INDEVCO Paper Containers division in 2003. Imad's long experience at INDEVCO and his pertinent commitment and dedication in his work have effectively contributed to his good performance, which will greatly help him assume his new responsibillities. In his new capacity, Imad will be in charge of reviewing division subsidiaries' financial reports and budgets and finance departments' performance. He will also work on identifying discrepancies and proposing proper solutions, auditing sales and insurance policies, stocks, and company assets and properties. He will coordinate among subsidiaries and INDEVCO Audit Department. Please join us in wishing Imad sucess in his new responsibilities. Fadi Moubarak has become Business Support Manager for INDEVCO Paper Containers division as of 23 February 2009. Fadi joined INDEVCO Group in 1987 as Information System Engineer at INDEVCO EDP Department where he contributed to the development of information systems in New Okal (formerly), Unipak, and Sanita in Lebanon and Napco companies in Saudi Arabia. In 1992, he was assigned on the tissue mill project in Lebanon in its pre-installation phase, as Information and Project Management Analyst. The year 1994 was a milestone is Fadi's career, when he joined Unipak to start working in flexo printing within the corrugated manufacturing industry. He later joined Repro Center, pre-press division of Unipak, as Repro Center Project Team, becoming Repro Center Manager in 1995 until September 2005. In September 2005, he was selected as a team member for the pre-print project in Saudi Arabia, where he successfully coordinated project planning. As a result, he was appointed and served as Easternpak Pre-Print Manager through June 2008. Fadi's years of experience in INDEVCO Group, coupled with exposure to project management and start-up businesses, have allowed him to handle new responsibilities as Business Support Manager, in line with INDEVCO's principle of meritocracy. In his new assignment, he will interact with INDEVCO Paper Containers Division manufacturing plants in order to ensure continuous support and communicate information and recommendations within the best practices carried out today in the corrugated packaging industry. Please join us in wishing Fadi success in his new endeavor. Television ad featuring Happies baby nappies are broadcast on major Middle East TV channels. Sanita, leading manufacturer of consumer disposables in Lebanon and the Middle East, launched a TV campaign for Happies baby nappies. The objective of this campaign is to enhance confidence in Happies through emphasizing its leading position in the Lebanese market given main parameters, such as absorption, fitness & comfort. Raja Bahsa has been appointed National Paper Products Company Operations Manager. In his new assignment, Raja will have full profit & loss responsibility in the operations with a focus on material management, manufacturing & technical improvement, product development, quality assurance, ERP systems and most importantly people development. Raja joined National Paper Products Company in 1999 and assumed successive responsibilities in the plant. In 2002, he became Plant Manager where he played a crucial role in increasing machines’ efficiency, reducing cost and improving quality. He successfully handled various assignments in customer service, marketing and sales. Raja is another example of attaining accomplishment in business by practicing and spreading INDEVCO philosophy and values reflected in his daily actions. Please join us in wishing Raja continuous success in his new challenging responsibilities. For a one-stop source of agricultural and horticultural films, visit MASTERPAK's stand (# 1.135) at HortiFlora Ethiopia 2009 from 25-27 March at the Millenium Central Hall in Addis Ababa. 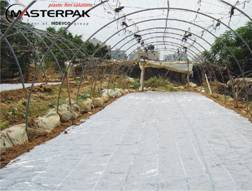 Since 2006, Lebanon-based PE film manufacturer MASTERPAK has played a role in Ethiopia's expanding agricultural sector. “With our quality films and customized services, growers have optimized their performance,” explains Jihad Rahme, MASTERPAK Sales Manager. The company’s range of agricultural and horticultural films, suitable for flowers, fruits and vegetables, sustains Integrated Pest Management strategies. In 2008, Ethiopia doubled flower exports over the previous year, shipping 800-900 million stems to mainly European markets and earning income of around $150 million USD. Flower farms across the country employ about 60,000 people. The Ethiopian government is offering tax breaks to attract investm ent, in the hope that flower exports will reach $1 billion USD in five years. “It is a remarkable production growth which currently won’t stop,” ensures Tsegaye Abebe, Chairman of the Ethiopian Horticulture Producers & Exporters Association (EHPEA). 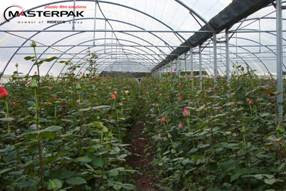 "MASTERPAK offers its range of 3-year lifetime thermal greenhouse covers, with special additives for light diffusion, anti-fog, and reduction of blackening of rose petals,” says Rany Sfeir, MASTERPAK Agricultural Engineer. Some of Ethiopia’s 106 local and foreign crop producers are diversifying into vegetables and fruits. 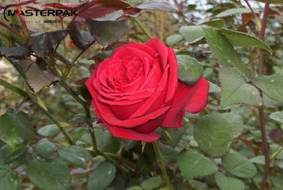 "People's priority in a global crisis is not to buy flowers. Their priority is to provide food," Chairman Abebe said. 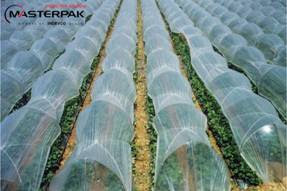 “MASTERPAK’s specialized agri-films meet Ethiopia’s specific growth applications”, says Sfeir. 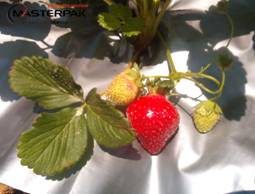 “With our advanced co-extrusion technology, we can combine different additives and filters to optimize film performances enhancing growth and harvest or different crops by using thermal foamed film, disease control film, silver/brown mulch film, and green solar fumigation film. 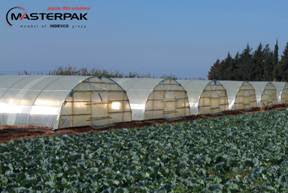 For higher yield and quality harvest – and increased farm revenues – growers should use MASTERPAK thermal low tunnel film and 20-micron black mulch film,” concludes Sfeir. Interested parties may request quotes and samples ahead of the exhibition. Sanita launched a new multi-purpose strong and flexible aluminium foil to the Lebanese retail market. 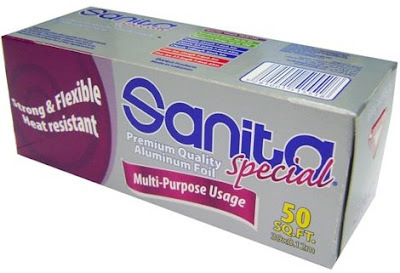 In February 2009, Sanita, leading Lebanese consumer disposables manufacturer, introduced a new product in the consumer plastic disposables family, Sanita® Special 50 sq.ft. for Multipurpose Usage, to the Lebanese retail market. Visitors can meet division members, Unipak Tissue Mill and Interstate Paper Industries, at the premiere exhibition for the international tissue industry: Stand #D175. INDEVCO Paper Making, a division of INDEVCO Group, will exhibit at Tissue World 2009 from 24 - 26 March 2009 at Acropolis Palais des Expositions in Nice, France. Member companies, Unipak Tissue Mill (UTM) of Halat, Lebanon and Interstate Paper Industries of Sadat City, Egypt, together manufacture 80,000 MT / year of parent jumbo tissue rolls. The tissue mills supply tissue converters in Europe, the Middle East and Africa with parent tissue reels used to convert household and away-from-home (AFH) tissue (bathroom toilet tissue, facial tissue, paper hand towels, paper kitchen towels, and paper table napkins), as well as specialty tissue for converting nappies and feminine sanitary napkins, special 3-ply tissue for printing table napkins, and high wet-strength industrial paper hand towels. Visitors to Gulf Pack 2009 will find a comprehensive one-stop source for packaging in the combined portfolio of INDEVCO Flexible Packaging and INDEVCO Paper Containers divisions. INDEVCO manufacturing plants from across Egypt, Lebanon and Saudi Arabia will exhibit together at Gulf Pack 2009 from 6 - 9 April 2009 in Dubai's Airport Expo, Stand # W485. Gulf Pack is the premiere packaging event for the Middle East region. Companies within the two business divisions supply similar client bases with films, packaging materials, and cartons for the agricultural, beverage, dairy, industrial, hygiene disposables raw materials, catering disposables, processed food, chemical, petrochemical, pharmaceutical, and soap and detergent sectors.